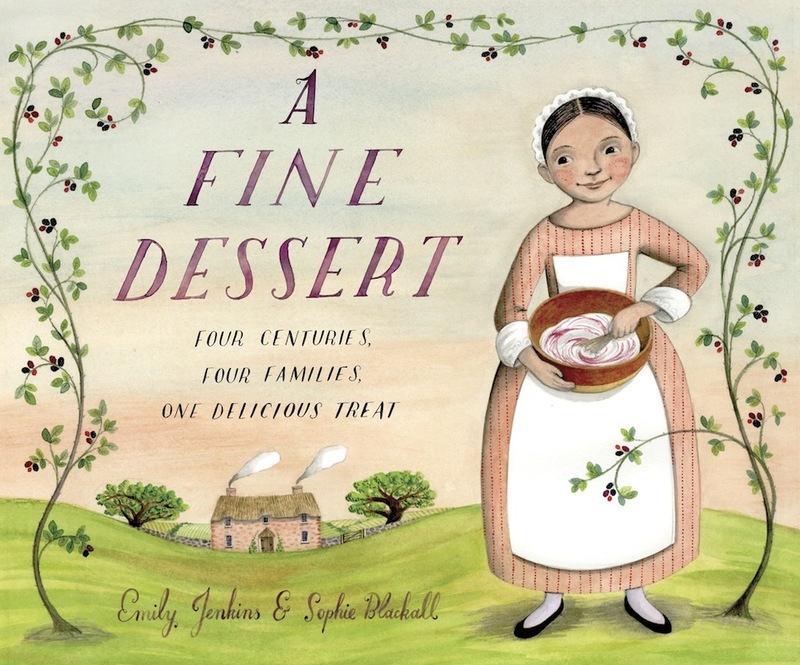 "A Fine Dessert" is one of those gorgeous children's books that you can't wait to pass out to friends. This book is American History at its best! The author, Emily Jenkins, takes one of the oldest dessert recipes in the English language and traces it through four families each spaced 100 years apart. Kids get to see kitchen technology changing through the ages. The beautiful illustrations showcase different fashions and living standards in American families. The book also tackles slavery in a sophisticated and sensitive manner. At the end, the recipe is recreated for modern cooks. My 7 year old was so excited to make Blackberry Fool for our family and cheerfully report on how easy it was to make real whipped cream with our modern blender. I loved this idea of taking one distinct theme and making "snapshots" throughout time to teach history to children. My daughter is an aspiring pastry chef, so we study cooking all the time as central to her history lessons. But clear focus in this book on one recipe made in 1710, 1810, 1910 and 2010 helped her really be clear about the passage of time. I'd love to go back even further to make a similar dessert in Roman Times and Medieval Times. Sometimes when I teach history, I tend to overwhelm my kids with too many details. The antidote is found in this clear, fun, detailed American History book. As my husband said "There can't be anything better than to get to eat your homework at the end of the day!" Find this book at your local library or order it from amazon here.